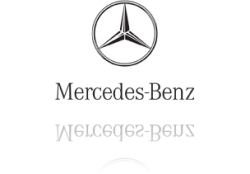 Mercedes-Benz is German producer of cars, trucks and buses. Currently it is division of German company Daimler AG. Company was established in 1926 by fusion of Gottlieba Daimler's Daimler-Motoren-Gesellschaft and Karl Benz's Benz & Cie. Original Mercedes-Benz company had been world's oldest car manufacturer.